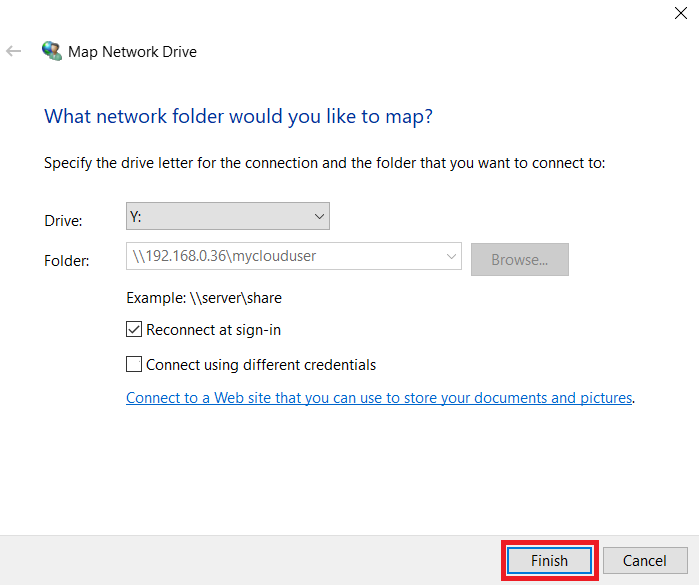 Mapping a network share on a Windows 10 computer allows the ease of use and access to network storage content. Use one of the options listed below to map a network share using the device name or IP address. 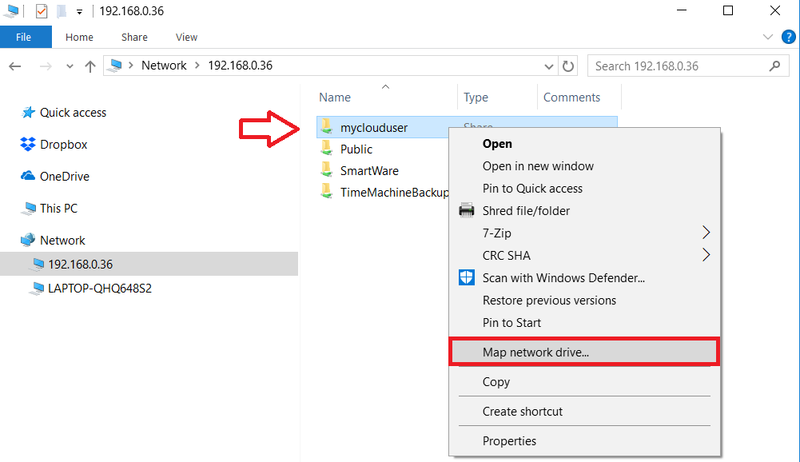 Follow the steps below to map a network drive using a Windows 10 computer. 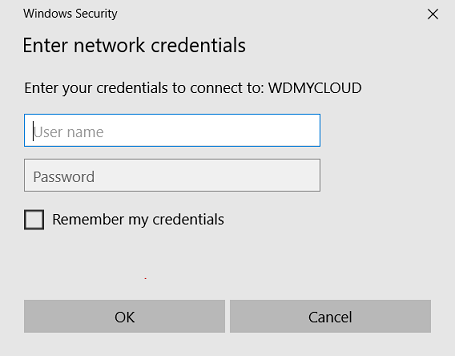 Obtain the name of the My Cloud or WD network device. If the device name was changed, please use the new device name instead of the "Default Network Path" listed in the table below. If the My Cloud device name has not changed, use the "Default Network Path" in the table below for the WD device on your network. 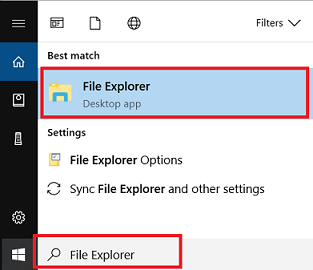 Type File Explorer in the Windows search box. Click the File Explorer Desktop App to open Windows File Explorer. 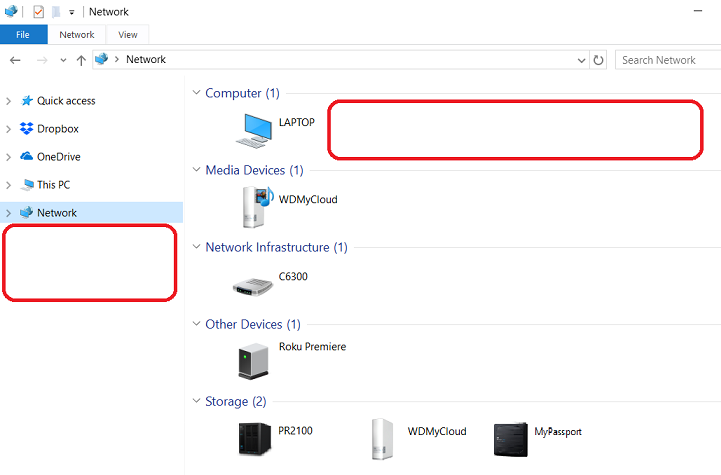 There should be no network shares under Computer or Network because "Network Browse" is disabled by defaut in Windows 10 version 1709 and higher. There should be My Cloud or My Passport Wireless devices seen under Storage. 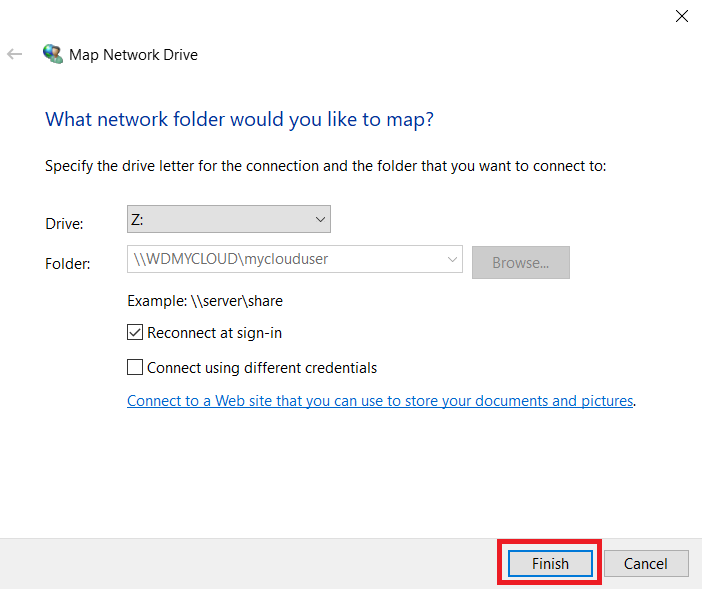 Enter the Default Network Path of the WD Device into the File Explorer address bar. As listed in the table in step 1, include the \\ before the Default Network Path. Enter a user name and password and press the OK button. 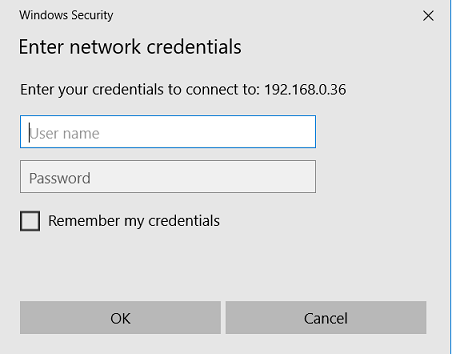 Windows 10 does not allow access to non-password protected network shares (Public Shares) without a samba (SMB) password. My Cloud: Use the admin username or any user on the My Cloud with read/write access to a password protected Private Share. My Passport Wireless: Use any user name or password combination. The network shares should be visible in File Explorer under Network. Select a password protected Private share to map. Right Click and select Map Network Drive. Review the settings and verify the options before mapping the drive. 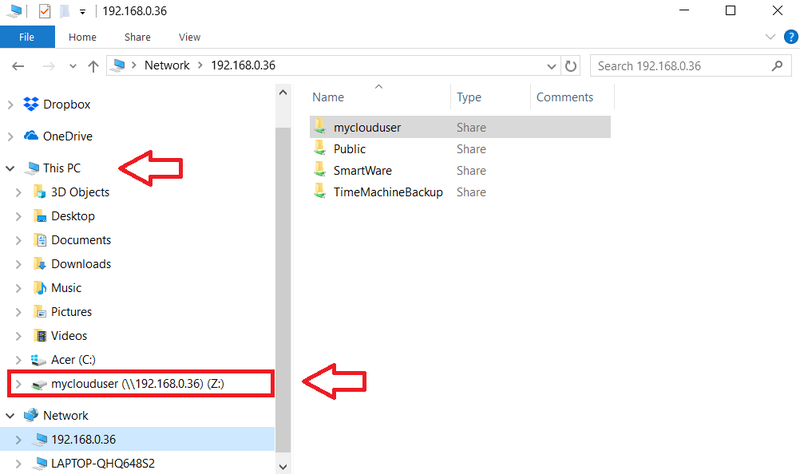 Expand This PC and verify the network drive has been mapped by the device name. Guest access in SMB2 has been disabled by default in Windows 10 Fall Creators Update version 1709 and higher. 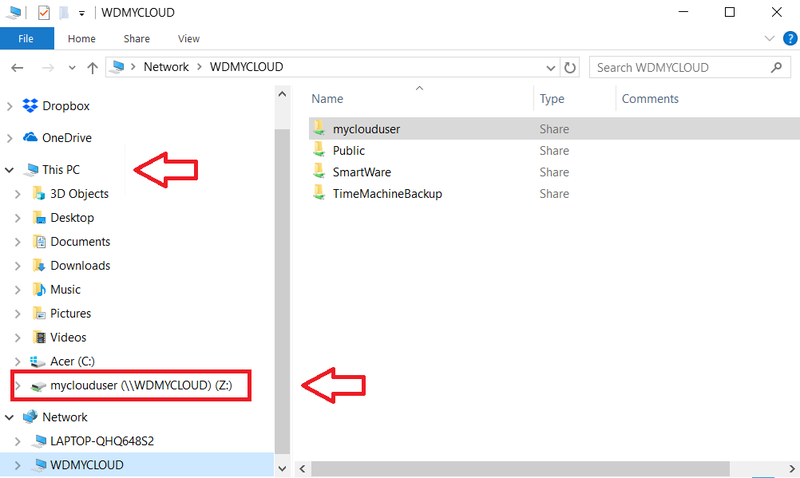 Important: WD Access is not supported and cannot be used with a My Cloud Home or My Cloud Home Duo. Expand This PC and verify the network drive has been mapped by the IP address. WD network drives are configured for DHCP by default. Configuring the network storage device with a Static IP address or configuring the router with DHCP Reservation will prevent the IP Address from changing and affecting the mounted drive. 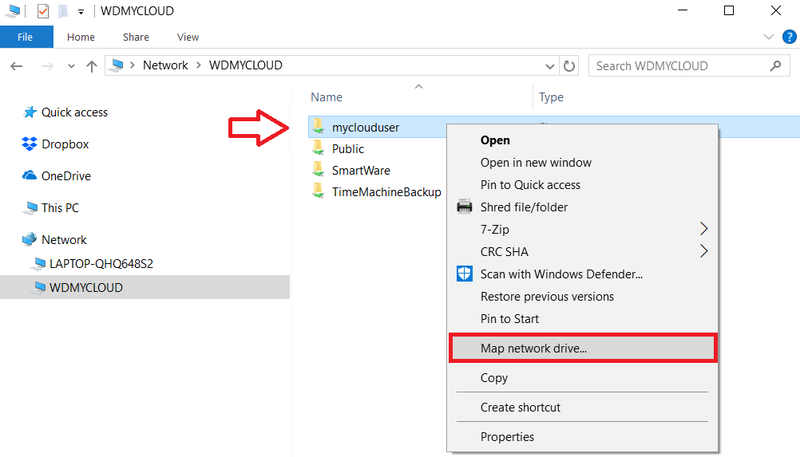 Obtain the IP Address of the My Cloud or WD network device. There should be My Cloud or My Passport WirelessM\ devices seen under Storage. Enter the IP Address of the WD Device into the File Explorer address bar. Use the following formwat \\IP_ADDRESS.